It's finally here! The long awaited Kubla Cubed 2019 has been launched with a host of new features and improvements. 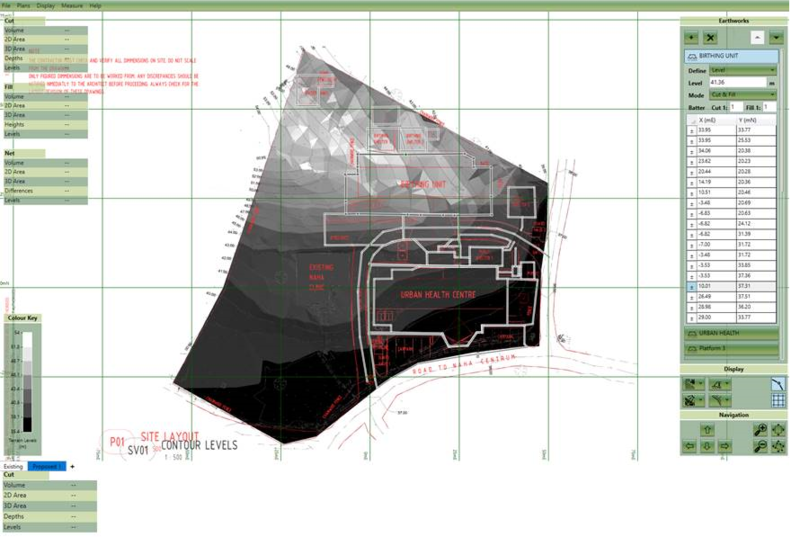 The site plans in the main window so you can align site plans with reference to each other. The feature surface take-off in the main window so you can align things together. Support for 'floating points', in the explicit outline and break-line definitions. Fill in the points you know and the program will calculate the others automatically. Edit Menu -> Point Snapping that allows snapping to boundary lines and grid lines. Import\Export support for the DWG file format, also direct copy\paste of elements into the take-off window from CAD. An 'Off' option for earthwork element side batter allowing totally vertical side slopes (No more entering 1:0.01 to get an approximation). Phase drag & drop functionality. Cursor reporting of cut\fill\existing\proposed level in the 3D view. If you are a Kubla Cubed Lite user you can download the new lite edition here. For Professional users with a subscription the program will prompt you to upgrade the next time you launch the program. Perpetual users can contact us directly to get an upgrade quote. I purchased kubla cubed pro last week to measure a job I am currently working on. It was going well, and I had calculated a lot of cut/fill data (see prev saved shots below). I went back in to the file today and the cut/fill data has gone. The shapes all still show in the list, but the calculations and re-levelling has all disappeared (see below). It is only showing Existing conditions. What has happened and how do I get it back? One day away from a deadline so would love to get a solution! Is Kubla the right tool for me? I was hoping to ask a couple of questions in order to see if Kubla is going to solve my needs. Feedback would be much appreciated, or would you suggest I contact support rather? 2. Can it do boxing out of the road pavement? words if I need to know the volume of sand, clay, rock etc that would be excavated. north part of the pad and a 1:4 slope at the south part of the pad. 5. Can I create and export a rendered model of the job into either a .jpg or even better yet, in a video format like .avi or .mov? Also, If I rent the Kubla software monthly, is it on a month to month basis, or is there a minimum notice period that have to be given if the software turns out to not be what I am after? Thanks in advance and I do apologise if many or all of these questions might have been asked before. Any news on the 2019 release? Is there any way that Kubla could be developed to separate the cut and fill into such categories? In subscription plan noted that "can be installed on two devices". Is that mean we can work on two computer simultaneously with 1 user license? Train ticket purchased and registered. Looking forward to meeting the team in Birmingham on Wednesday 10th. 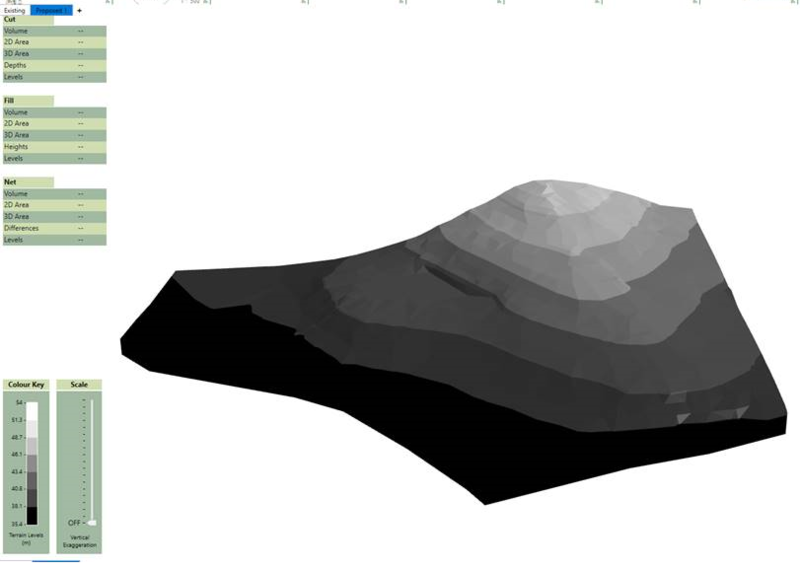 A method for importing vectors from a PDF would be helpful for defining contours. I realize elevation data is typically not included with the PDF vectors but this could easily be added to the contour once the vector was imported into the surface.